Lawffice Space - Employment Law Blog by Philip Miles: Can Conan Compete in Pennsylvania? Can Conan Compete in Pennsylvania? Great news for employment law bloggers! It seems the hottest topic in mainstream media is Conan O'Brien's contract. When was the last time you saw so many people concerned about one man's employment contract? Yet there it is, in the New York Times: Fox Woos O'Brien but Pact is a Hurdle. This opportunity has not been lost on employment law bloggers. On Gruntled Employees, Jay Shepherd writes, Why Fox can hire Conan as Soon as he Leaves NBC. Basically, there's a lot of speculation that Conan has a noncompete clause (or covenant not to compete) in his contract. Mr. Shepherd points out that a clause would be unenforceable in both California where the show is taped and New York where NBC is headquartered. 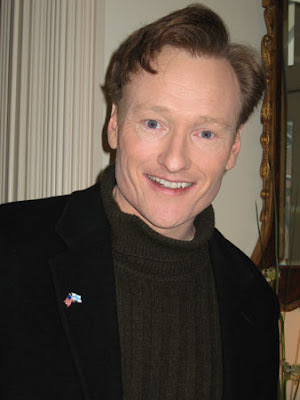 On the Delaware Employment Law Blog, William Bowser explains, Why NBC Should Have Used Delaware Law in Conan O'Brien's Employment Contract. He points out that if NBC breached the contract, then the noncompete would be unenforceable. The new NYT piece above, however, reports that the contract did not contain a time restriction so NBC might be OK. Mr. Bowser also notes that had NBC used choice of law and choice of forum clauses specifying Delaware law and courts, then they would be in a much better position to enforce a noncompete. "In Pennsylvania, restrictive covenants are enforceable if they are incident to an employment relationship between the parties; the restrictions imposed by the covenant are reasonably necessary for the protection of the employer; and the restrictions imposed are reasonably limited in duration and geographic extent. [Analysis]requires the application of a balancing test whereby the court balances the employer's protectible business interests against the interest of the employee in earning a living in his or her chosen profession, trade or occupation, and then balances the result against the interest of the public." Hess v. Gebhard & Co., Inc., 808 A.2d 912, 917 (Pa. 2002). This language was also quoted and relied upon by the Superior Court just six months ago in J.C. Ehrlich Co., Inc. v. Martin, 979 A.2d 862 (Pa.Super. 2009). Image: Believe it or not, the image is in the public domain as a work of the U.S. Federal Government. It was taken by a State Department employee at the U.S. embassy in Helsinki. Nice piece, Philip! Thanks for the shout out. Maybe Conan will broadcast out of Scranton. Thanks Jay. Conan live from Dunder Mifflin? Not sure why your name appears in code in the comments, I'll have to look into that.